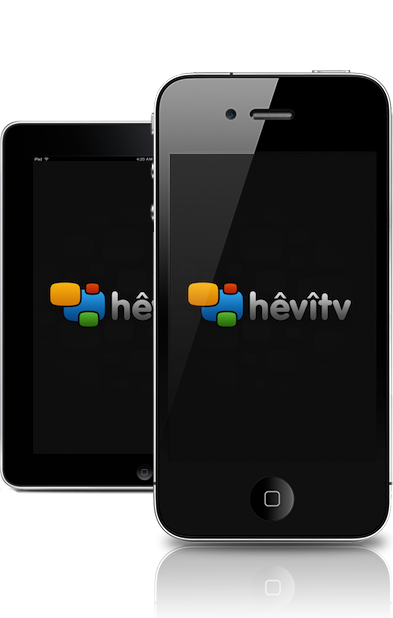 Hêvî TV is an entertaining mobile application for your iPad, iPhone, iPod, Android and Amazon Fire Phone and HD Tablet devices which gives you the possibility to watch TV channels in HD format and listen radio stations from all over the world. Completely a new design approach! Bookmark channels to the favorite list! Remote control from the headset! Rewind and forward any radio station! Swipe your finger to navigate TV channels! Use in your native language! 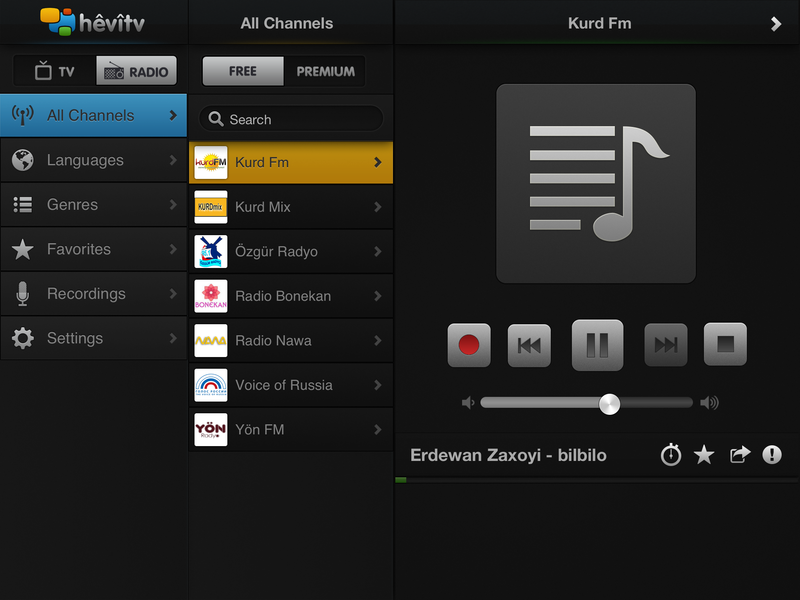 You will have the opportunity to watch many TV channels and listen many radio stations on your iPad, iPhone and iPod. 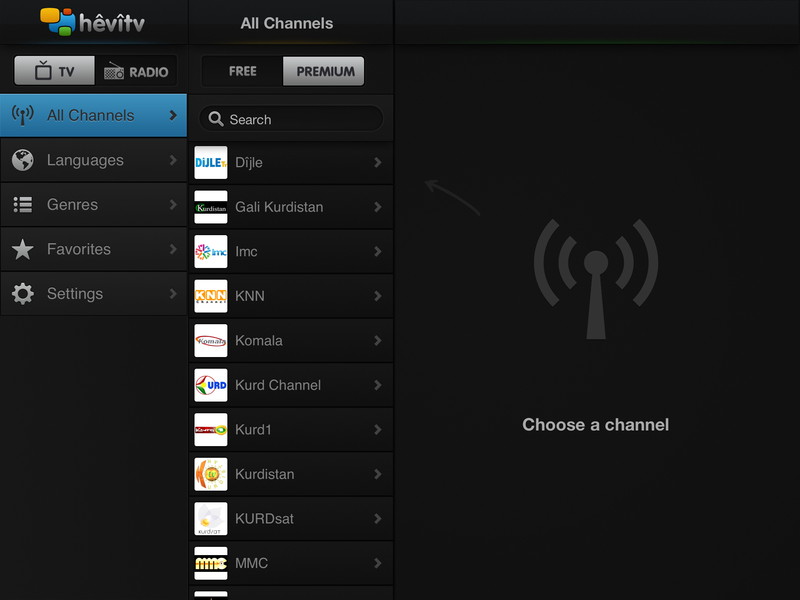 Add the most watched/listened channels to your favorite list for later quick access. 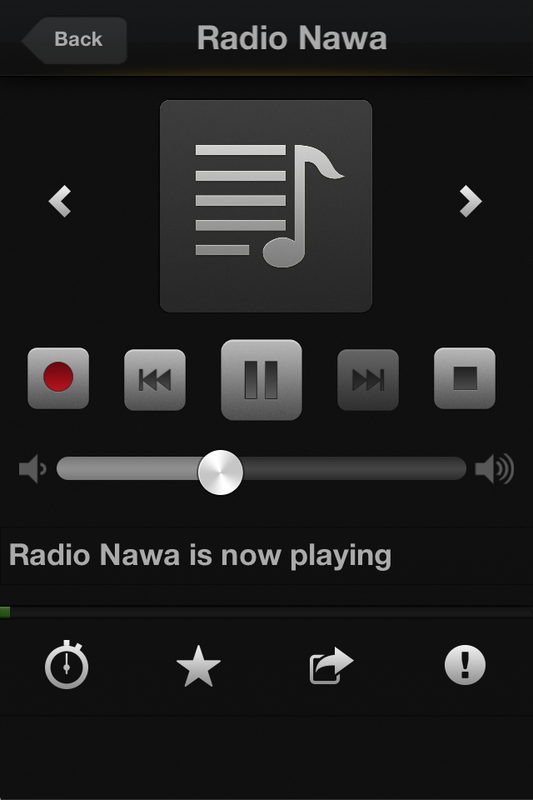 Get information of the song (artist's name, song's name and album's art) current playing on the radio while your device is locked from the "Now Playing Info Center"
You can record whichever radio station you want and play it again later. Set the timer and let it turn off itself. Share what you are watching/listening via Twitter, Facebook, iMessage and e-mail. You can stream TV content directly to your Apple TV! Surf on the internet while connected to the Apple TV. 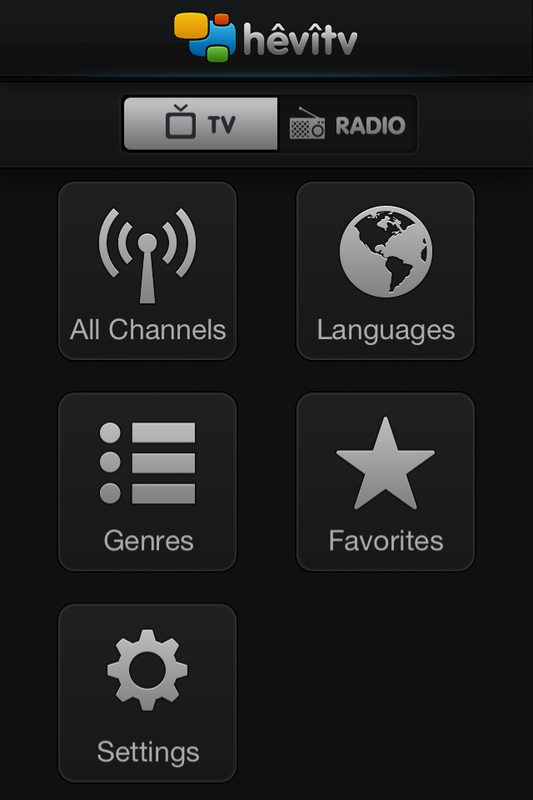 Swipe your finger to navigate TV channels when player is not in fullscreen mode. Slide right for the next channel and slide left for the previous channel. Navigate channels, forward, rewind radio buffering from your headset. You can subscribe to purchasable TV and Radio packages for premium services. When you purchase a package we will sync your purchases with your all devices. 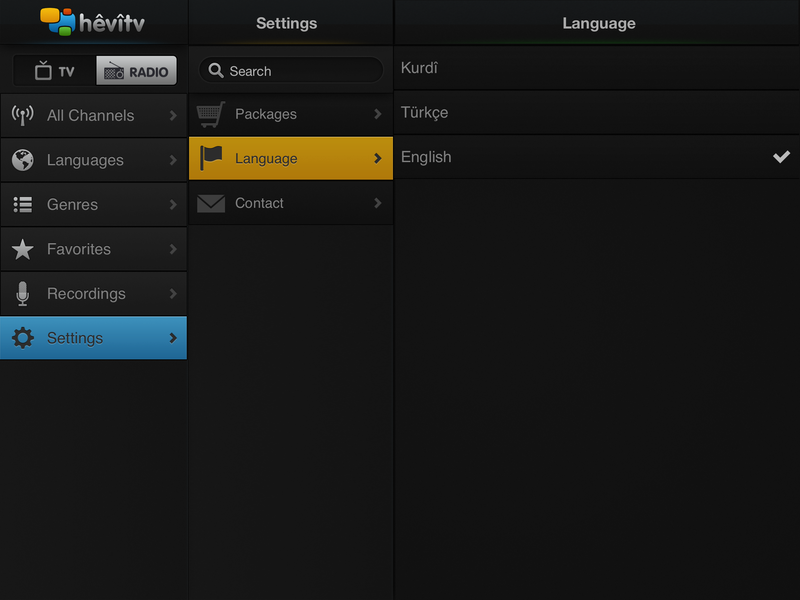 Kurdish, Turkish and English languages are available right now and more languages will be added soon. NEWCompletely a new design approach! User-friendly UX! NEWRadio Recording & and Sleep Timer! NEWiPhone 5, 5s, 6 and 6 Plus supported for iOS 7 & 8! NEWiOS 6 and iPhone 5 supported! FIXLandscape mode UI problems fixed! NEWApp perfomance improvement! a new surprise feature added! FIXDisable auto lock while watching TV. Please follow us on Twitter and Facebook so we can keep you up to date about status of our services and the application.